Typically, snow removal is not thought of as a topic that needs to be explained. 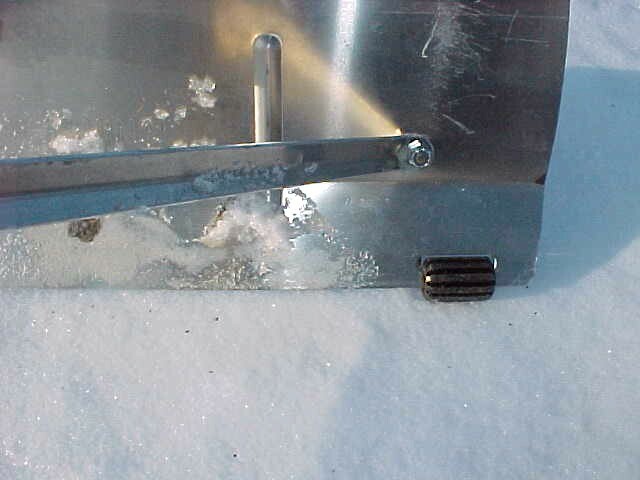 Manufactured homes need to be handled with care when it comes to snow removal, particularly as it begins to accumulate on the roof. Many mobile homes are not built to support significant amounts of weight on the roof. This can lead to all kinds of problems. So, it is important to remove if it begins to add significant weight to the structure. The first rule in removing snow from your roof is to stay off the roof. Walking on a cold roof invites damage. 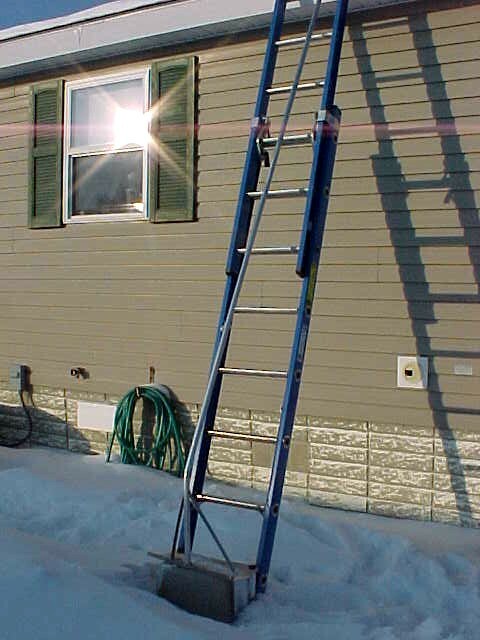 Use a small extension ladder such as the one pictured to the left. Remove the snow as soon as you can. If you let the snow harden, you may have no choice but to be on the roof with a shovel. 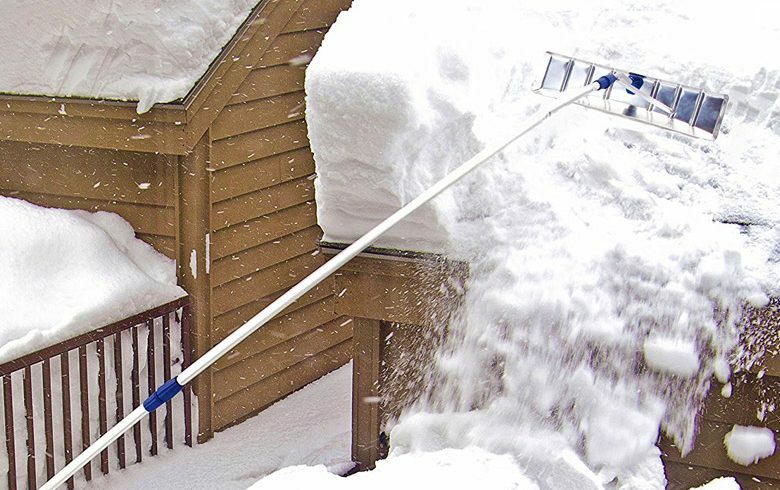 To remove the snow, use a roof rake like the one pictured below (can be found on Amazon.com). It comes with several extension handles to make reaching across any roof easy. Just reach and pull the snow back. 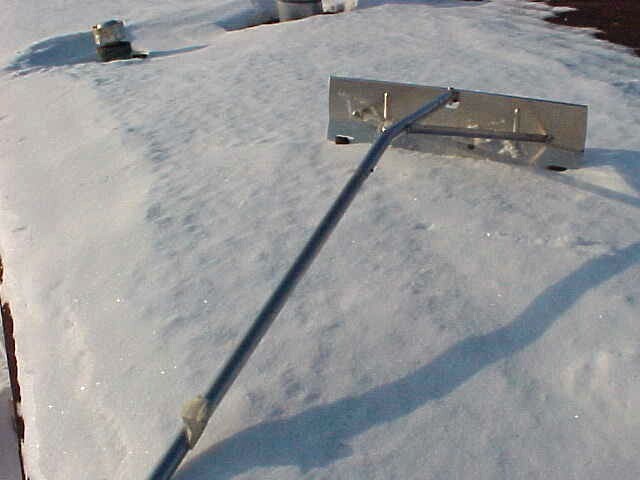 When choosing a snow rake, use one that doesn’t scrape directly on the roof. The rake pictured to the left has plastic bumpers that keep it slightly above the roof.